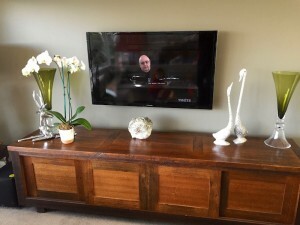 With this Television Installation Sydney my customer was located in St Ives, North Shore Sydney. They had a NEC 50in plasma which was about 10 years old. The tv had just died so they replaced it with a new 50in Sony Smart TV. The existing wall mount was not suitable for the new tv so we replaced with with a new flat wall bracket that with be suitable for all tv’s in the future. After bolting the wall bracket to the wall we connected the TV to the aerial to get all the free to air channels. Standard Foxtel was also connected but they many be upgraded to Foxtel IQ2 in the future to get the high definition channels. Since the Sony is a smart TV it was connected to the wifi so they could watch the catch up services and youtube. Peter can help you with your new or existing tv. He has been servicing the North Shore Sydney and Northern Beaches Sydney for the last 14 years. If you need help call Peter on 0401 202 087. 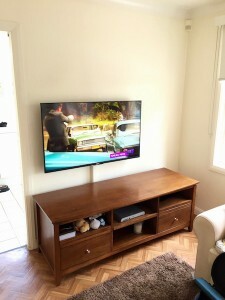 With this Television Setup Service the customer lived in Elanora Heights on Sydney’s northern beaches. The 7 year old Panasonic plasma tv finally died so they replaced it with a new Panasonic LCD TV. The pervious tv was wall mounted so we were able to use the existing wall bracket which fixed onto the back of the new LCD TV. We attached the 2 x HDMI cables for the Foxtel IQ2 and Blu-ray player. A optical cable was also plugged in for the Onkyo amplifier to give surround sound. Peter from That TV Guy can help you with your new or existing audio visual equipment. 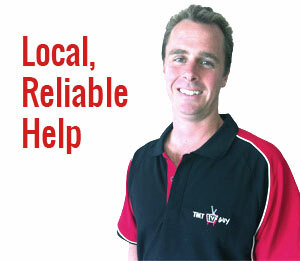 Peter has been servicing the Northern Beaches Sydney and North Shore Sydney for the last 14 years. 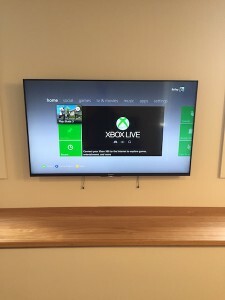 With this Television Installation Curl Curl Northern Beaches Sydney the customer had just recently renovated their home in Curl Curl on Sydney’s Northern Beaches. The electrician hid all the cables in the cavity to the Foxtel, DVD and Sony Playstation in the adjacent cupboard in the kids playroom. 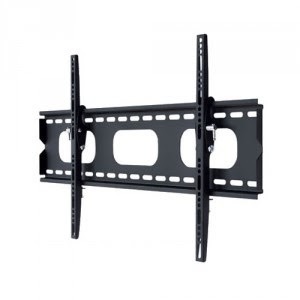 That TV Guy supplied a flat wall bracket which was fixed to the wall at the customers requested height. We connected the HDMI cables to the Sony LCD TV and Foxtel, DVD and PS3. The Sony smart TV was then connected to the internet allowing them to watch all the catch up services and Netflix. 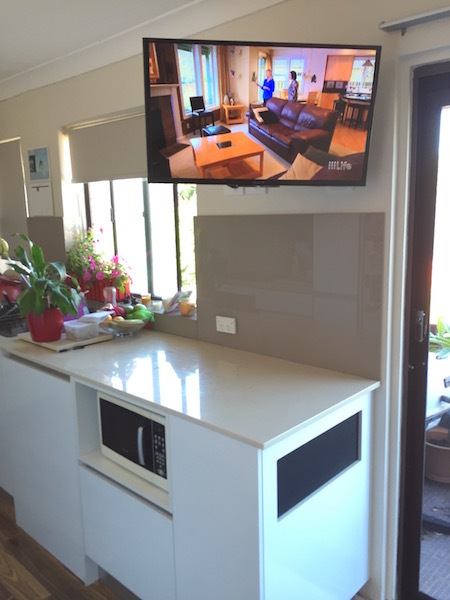 This Kitchen TV Wall Mount was an existing customer from many years back in Freshwater on Sydney’s Northern Beaches. Her previous LCD TV had died so she purchased a new Sony smart TV. We were able to use her assisting bracket but I had to make up some special aluminium rails to make to the fit. We connected the new Sony LCD TV to the internet, HDD recorder and the antenna. If you have any questions, need advice or help installing you audio visual equipment please don’t hesitate to call Peter from That TV Guy on 0401 202 087. Your local audio visual specialist. 14 years experience.